I’m in France!! That was my first thought of the day as I woke up this morning in my dorm room…I’m actually here! I’m finally in France! Half of my room - my bed and one of the desks...There are 2 beds, 2 desks, a couple closets and a sink. 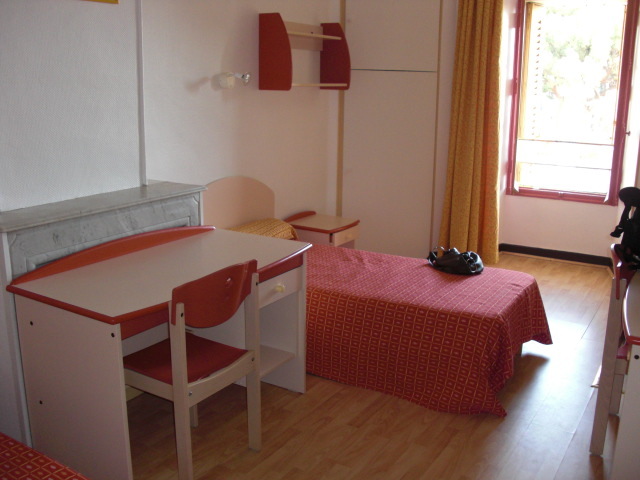 I will have a French roommate beginning in September. The view from my bedroom! 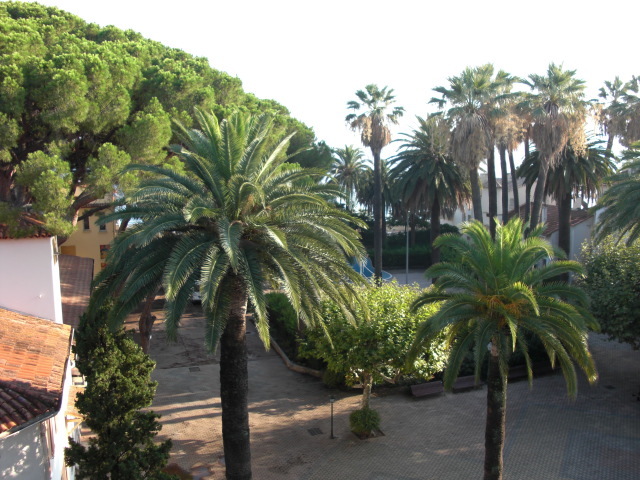 That is the courtyard of the College - and if you look through the palm trees, you can see the Mediterranean! 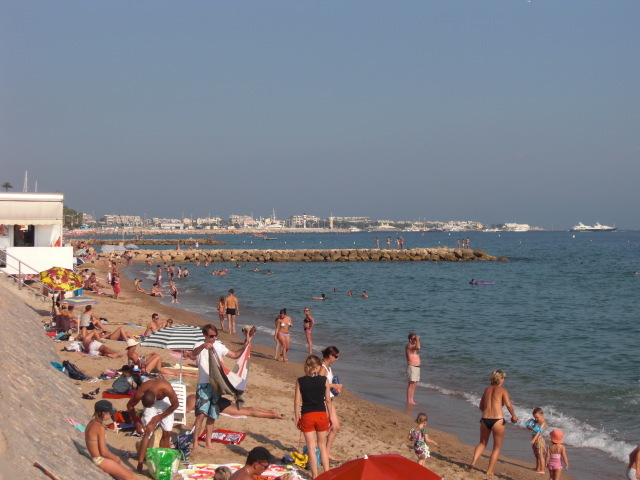 We only had enough time to set down our bags before we headed out to see the beach and explore Cannes! The beach is wonderful – and only a two minute walk from the College. It was challenging to stay awake after all the travel and jet lag, but we all managed to stay awake until about 10:30pm or so – about 3:30pm back at home! essentials (shampoo, soap, etc) before brunch. After brunch, we took the city bus to Grasse, a nearby city that is famous for perfume. We had a tour at the Perfumerie Fragonard, and took our time wandering through Grasse. When we returned, we took a dip in the Mediterranean – very refreshing! Overall, a great first day here and I’m so excited that I’ll be here for 4 months!! There is so much to do and learn! I have not been speaking French very much yet…it was a little overwhelming trying to respond in French while I was so jet-lagged. I will write again soon (with a little more detail – sorry!) when everything starts to settle down, but until then – à bientôt ! Cannes looks gorgeous! What an exciting year you have ahead of you– with France and then India. You’ll certainly grow a lot this year and I’m looking forward to reading more about your travels. I’d like to invite you to be a guest writer for PinkPangea.com, the first online community for women travelers. It would be great if you could post about your experience in France and then Spain, providing anecdotes and photos from your time abroad. 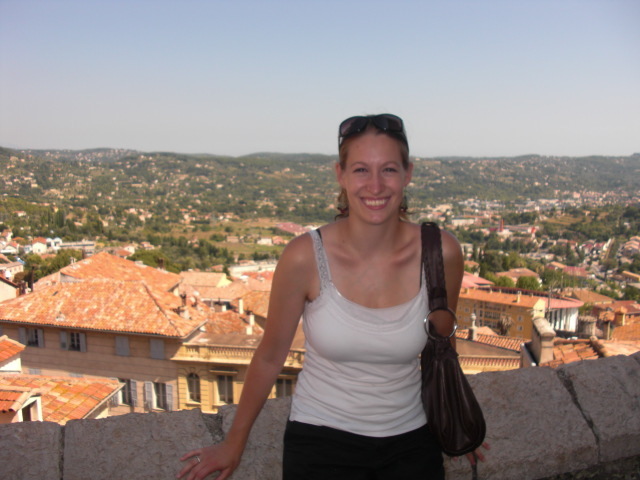 You might also want to provide tips for women travelers who want to get out there, as well. I look forward to hearing more about your experiences abroad!